The photo on Kadapak is a high-quality print on foamboard. 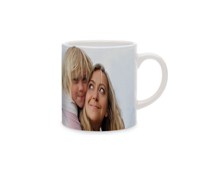 The photo on Kadapak is provided with a complimentary aluminium frame in a colour of your choice. The photo on Kadapak is ultra-light, gives high-fidelity colour reproduction and hangs easily thanks to a fitted wall-mounting system. Sizes range from 25 x 25 cm to 100 x 150 cm, but you can also create a Custom-Made Kadapak. Why not treat a loved one? gold, silver, red, blue ou black. Your large-format portrait photo with frame included. Your landscape-format photo printed and framed. Kadapak also comes in an original, trendy square format. Bespoke printed and framed photo. Print your photo across several Kadapak, with frames included.